Is there a straight forward fix for this? I've looked through a bunch of settings and posts and haven't found an answer. 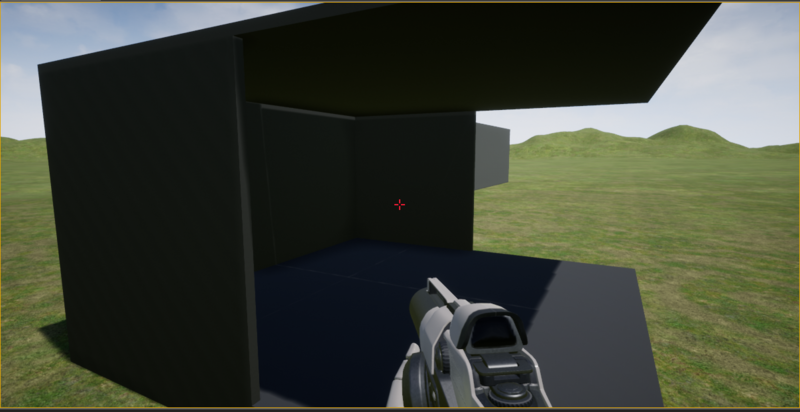 The rest of the level is the first person shooter starter setup, so just a single directional light setup, no settings have been changed. So one "building" is made out of 5 wall pieces and you have problem with just the top ones? :S /pic is really small sry/ Can you tell me please what quality is your build? 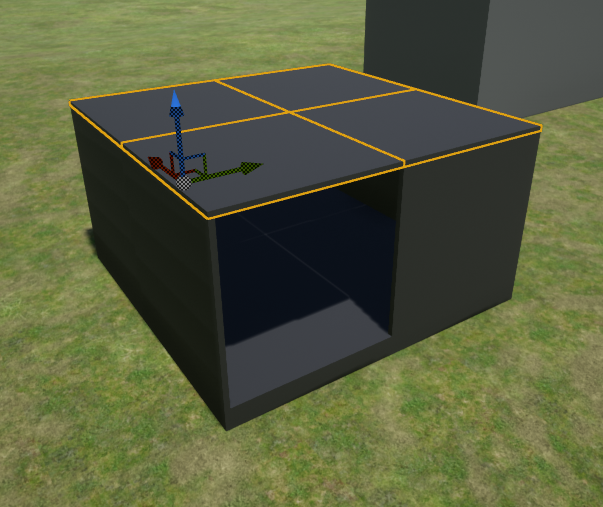 Also could you show us the lightmap uv of the problematic mesh? ...to be honest I haven't seen light leaks for a long time... not even with plane walls... so it's for sure not the thickness of your wall! Sorry, it's made 4 pieces on the top (its a 2x2 building). 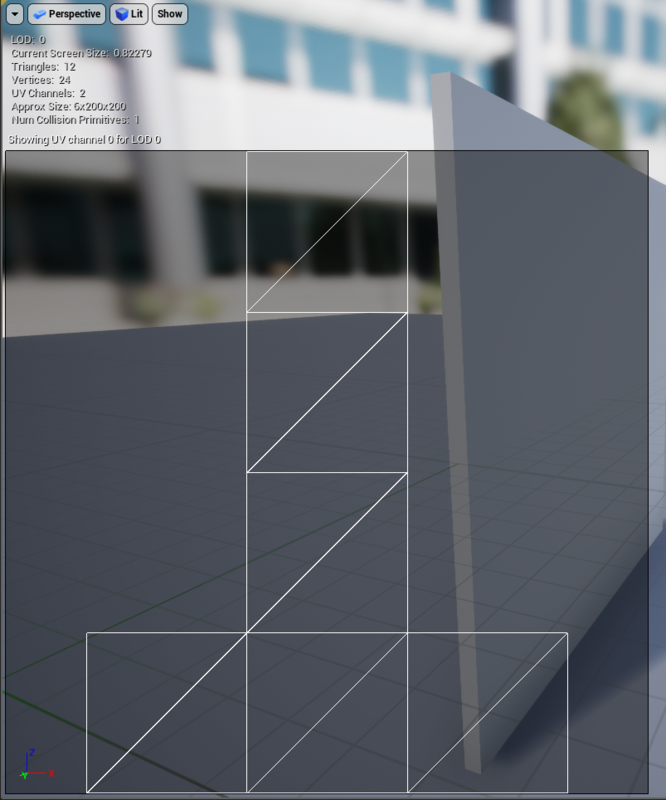 I'll try to figure out how to get the lightmap uv, but it's just a 200x200x6 cube I exported from Maya. There is no additional detail. Thank you! 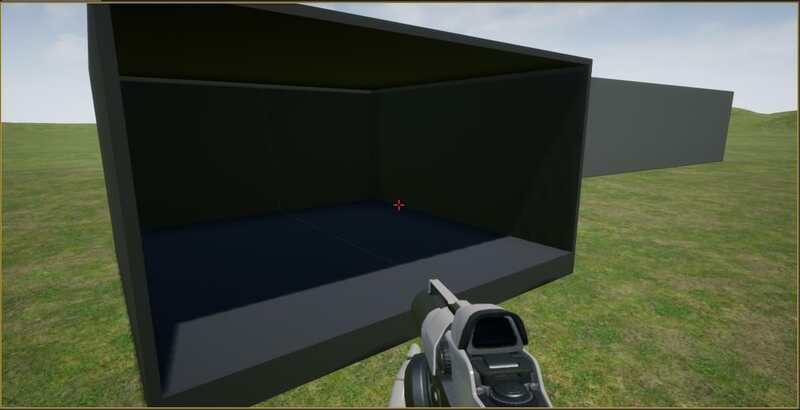 Not the best lightmap! :S All faces should be separate! You see lighting information can leak like this from one face to another! Because meshes calculated separately if you have a continuous flat surface "break up" into pieces, they tend to have shading differences! 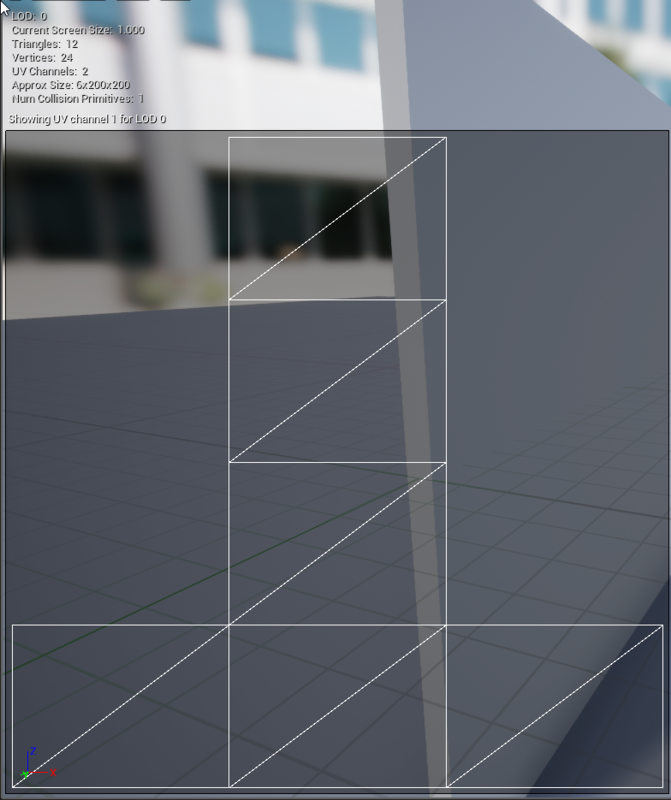 You can solve it by reducing the Indirect Lighting Smoothness (0.6) in the world Ligtmass settings! ...usually it works with reduced Scale (0.1) and increased Quality (10). It will increase build time but you will hve a nice clean bake! I think it's the best if it's snapping!